This morning I was tying my running shoes at the bottom of the stairs when out of the corner of my eye I noticed our family height chart. 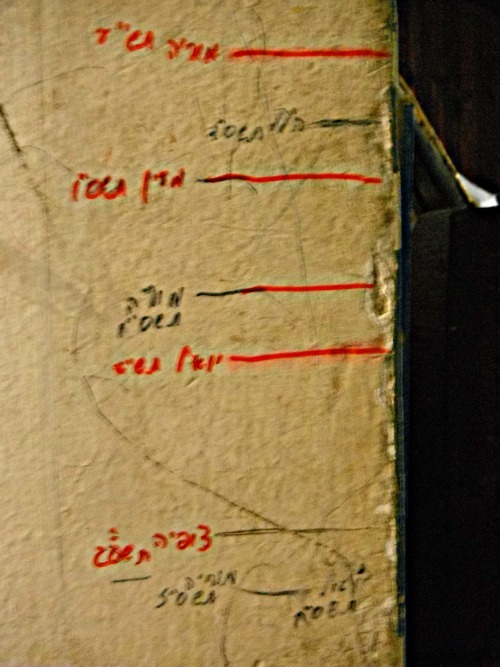 Ever since we Weisbergs moved into this house 11 Passovers Eve’s ago, every year every Weisberg Jewlet (fyi, that’s what my brother-in-law Noah calls my kids) marks down his or her height on the wall at the entrance to our kitchen. 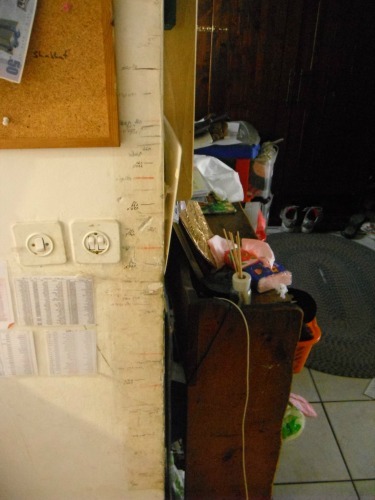 This is the whole height chart, where we've marked every child's height on a yearly basis for the past 11 years. 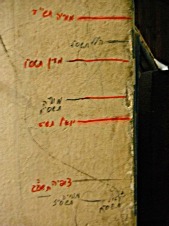 A close-up of a small section of the height chart: which reads, from the top, "Moriah 2010, Hallel 2004, Maayan 2006, Moriah 2006, Yoel 2010, Tsofia 2013, Moriah 2007, Yoel 2008"
And looking at the height chart reminded me of the days that crawl (and occasionally limp) along and the years that fly. And I was reminded how every year when I look at my kids’ new heights I feel a sense of sweet accomplishment. I remember that I fed my kids all year long and look what happened! They grew! A centimeter or two or three. I feel the same way on Friday afternoons post-bath time when I pick out dresses for my 2-year-old Tsofia. This past Friday I pulled out the red-flowered dress from my husband’s hometown, and remembered my 9th grader, Hadas, sucking on her Shabbat lollipop in that dress…And today Hadas is taller than me, even in her socks! B”H, lots of Nachas. The physical growth we can measure. It is nice to document spiritual growth as well. You can scrapbook mitzvah notes, or notes and certificates sent home by teachers, as well as keeping a ‘classere’ a notebook filled with daily (or weekly) jottings of when you see your child winning a battle against the Yetzer Hora. This is especially helpful with challenging children. Take the time to read it to them on a regular basis, showing that the good things they do are noteworthy and important.